Caption: The Ngả Ba Bầu Corn Market in HCM City’s outlying Hoc Môn District. — VNS File Photo. 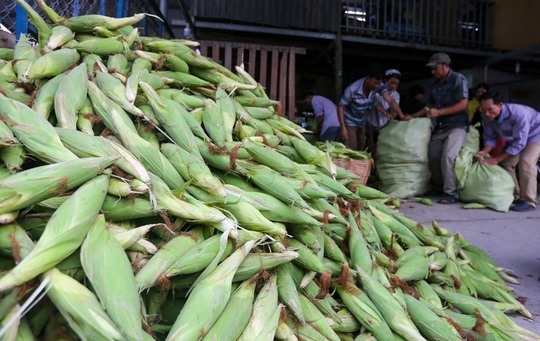 HCM CITY — Situated in the outlying district of Hóc Môn, Ngả Ba Bàu corn market is the largest corn wholesale market in HCM City. People passing by Trịnh Thi Miêng Street in Hóc Môn might be captivated by the sight of dozens of trucks that have transported corn from Mekong provinces to the market. Built in 2002, the market is home to around 20 trading households who previously used to do business at Cầu Muối Market, a fruit wholesale hub in District 1.